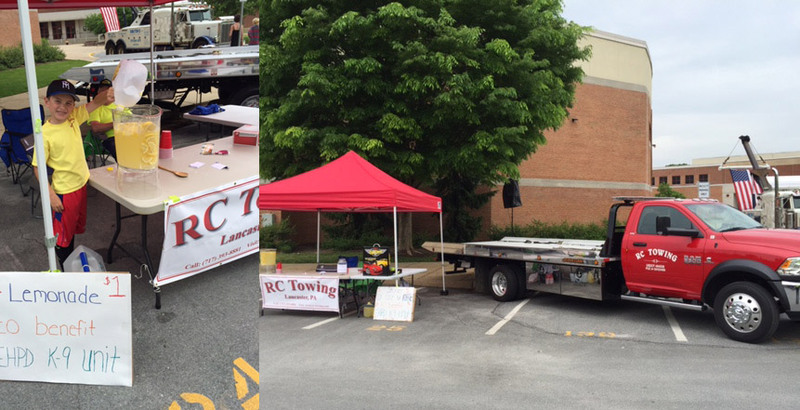 Rc Towing was out supporting the 2015 Cops and Rodders Car Show at Hempfield High School on May 17. We raffled off two Stoner Car Care kits and sold lemonade with all proceeds being donated to the East Hempfield Police Departments. RC towing also sponsored the “Best Original Classic Muscle Car” and “Best Original Truck” trophies that were awarded.